Ever since the first time I heard the first few riffy bars of “If I Wanted Someone”, I’ve tried to place Dawes in a certain time and place. By most contemporary definitions, they are not purely indie rock — at least, if we determine that a band can be classified as indie if a music director at a college rock station would want to put their album into rotation. And they don’t quite fit in with the stringy acts that have proliferated today’s alt-country scene — the Avett Brothers, Mumford & Sons, the Devil Makes Three — or even the kings of the indie/alt-country world, Wilco. Instead, Dawes simply plays guitar-driven American rock. A friend on Twitter asked if they were cut from the same cloth as Tom Petty. And the intro on “If I Wanted Someone” does sound like a loud and clean facsimile of Petty’s “Last Dance for Mary Jane”. 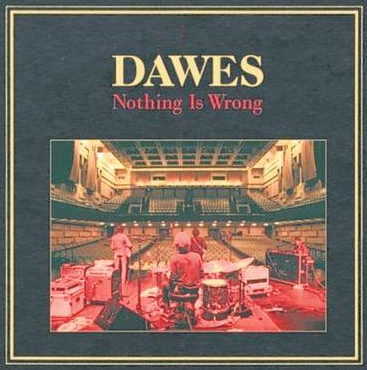 But Dawes, perhaps, is more reminiscent of something from the early days of “Son Volt” or “The Jayhawks”. Considering the fact Black Star hasn’t released new material in 13 years, this might not seem like a timely endorsement. Bear with me on this one. If I were to count the number of times I’ve seen effusive praise piled upon Jay-Z and Kanye West this year’s hottest hip-hop supergroup, I would run out of fingers and toes fast. I don’t have a problem with the fantastic reviews and robust sales “Watch the Throne” has garnered: Kanye is a true visionary and his new beats are more than good enough to compensate for the mail-it-in rhymes that appear all over the album. 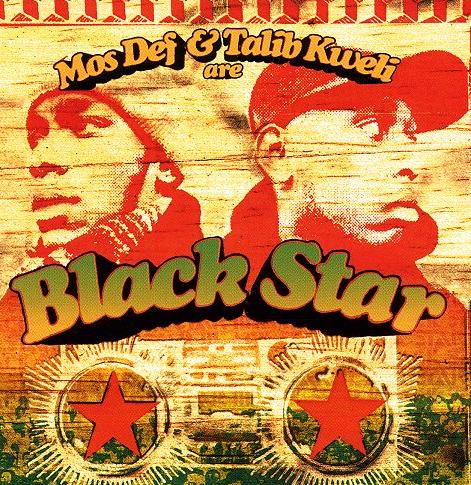 However, I do think Black Star’s 1998 debut, “Mos Def & Talib Kweli Are Black Star,” should be required listening for anyone who buys a copy of “Watch the Throne.” The 13-track album features Mos Def and Talib Kweli at their best, which is saying a lot, considering some of the fantastic music each has made in the years since. Black Star is the polar opposite of Jay-Z and Kanye, from its subtle soul- and jazz-based beats to its refreshingly uplifting and still-relevant lyrics to its swift, clever wordsmithing. The sandwich is easily the most predictable meal, the “whatever” meal. I eat them nonstop for lunch, and this can quickly lead to tedium, or as I like to call it sandwich vertigo. What was once delicious makes now makes your head spin. Story that is not false: Senior year of college, first semester, I bought a loaf of bread in August that I never finished and didn’t buy any more bread the rest of the year. That’s right I never ate sandwiches. I went an entire college semester without making a sandwich. I was burned out. The real world presents itself with a similar problem. I am always rushed. I have little time to eat. This makes putting meat and cheese between two slices of bread a necessary evil. Until I discovered the bagel. have you been blogging for? you made blogging glance easy. The full look of your website is excellent, let alone the content! 9 plus its perpetual license model brings a superb product down to an average price to value ratio. 64-bit versions XP and Vista computers with Service Packs installed. last week and it’s a great start for Google’s Chrome browser who looks to overtake Internet Explorer as the top browser choice worldwide. or unprotected website, Firesheep listens in on that traffic going over open Wi – Fi networks. want as much of it as they can possibly get. huge number of people looking for what exactly you offer. empty calories that came with it during my fast-food drive-thru experience or I could get creative. links and then sit back and watch while they earn real cash.